MERCADO DE VALORES DE ROSARIO S.A. was founded on November 22, 1927, when a group of BOLSA DE COMERCIO DE ROSARIO members decided to achieve the aim of “settling contracts and guaranteeing cash/forward purchase and sale transactions in government, provincial, municipal bonds, shares issued by corporations, securities of any kind whatsoever, and/or bills of exchange” (Memorandum of Association– 11/22/1927). This was the first institution of a securities market nature to be incorporated in the country. 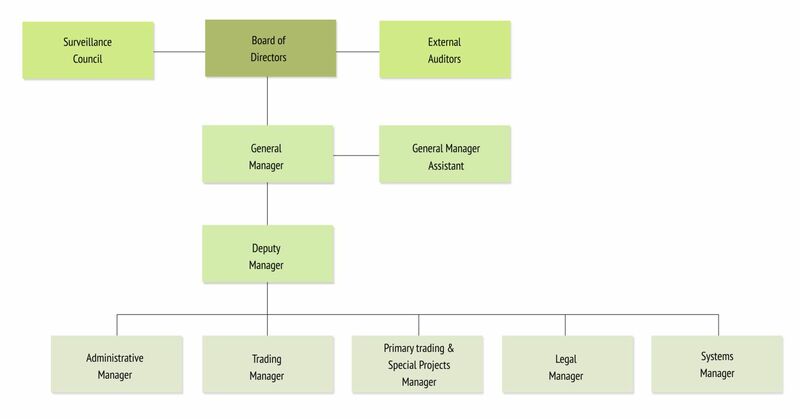 After its formation, with 244 founding members, the first trading session was conducted on June 1, 1928, with 44 commission brokers, and trading hours being split into 12:00 to 13:00, and 15:00 to 16:00. In 1940, it was renamed as “Mercado de Títulos y Cambios de la Bolsa de Comercio del Rosario S.A.”. In 1944, the Central Bank of Argentina became a direct participant in the Rosario market place, acting through qualified commission brokers. In May 1955, and after having its bylaws amended pursuant to the laws then in force, it also changed its name to the currently used MERCADO DE VALORES DE ROSARIO S.A. In 1965, a Study Commission was set up in order to draft a Securities Market Bill, which was finally passed into law in July 1968, as Public Offering Act No. 17811, which is still in full force and effect. The old term “commission broker”, synonymous with trader, was then replaced with “stockbroker”, synonymous with broker-dealer, which is still used today. The decade 1970-1979 witnessed a remarkable increase in government securities transactions, when the now demised Investment & Development Bonds, together with the Adjustable National Government Securities, allowed investments to be adjusted for inflation during a highly inflationary business cycle. In the 1980s, the emergence of the “Austral” as the new Argentine currency, and the plight of hyperinflation by the end of such period, shaped a business cycle in which there was rapid generation turnover, where younger brokers marked the advent of a much more professional trading activity. At the beginning of the 1990s, corporate securities recorded a significant volume, stock indices reaching record highs which afterwards, as a result of the economic crises affecting emerging countries, caused a sharp decline in market quotes. It was a time of great changes, such as the privatization of State-owned enterprises (SOEs), and the dawn of electronic trading. 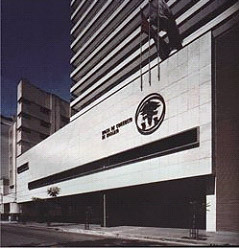 At present, MERCADO DE VALORES DE ROSARIO S.A. has diversified the trading tools and instruments available to its member stockbrokers and brokerage firms, who may trade on their own marketplace, as well as on the Buenos Aires securities market, through its wholly-owned subsidiary “ROSARIO VALORES SOCIEDAD DE BOLSA S.A.”. MERVAROS is entrusted with clearing the transactions that are executed by its stockbrokers. This means that trades are made on a broker-to-broker basis, but at the end of the day, each broker clears executed transactions against MERVAROS, not against other brokers. MERVAROS guarantees the transactions that member brokers have executed against one another. CAJA DE VALORES provides securities custody and safekeeping (deposit) services. CAJA DE VALORES participants, known as “depositors”, are the MERVAROS stockbrokers. Any saver or investor purchasing securities through a broker-dealer shall, unless he states anything to the contrary, have an account open with CAJA DE VALORES in its capacity as broker’s client, where he will keep his securities holdings in safe custody. Framework agreement between Intermercados de la Región Centro - December 14, 2010 -MERVAROS makes available to MERCADO DE VALORES DEL LITORAL and MERCADO DE VALORES DE CÓRDOBA its wholly-owned subsidiary, ROSFID . Framework agreement between Nueva Bolsa de Comercio de Salta S.A. and Mercado de Valores de Rosario S.A.- November 23, 2010 -Mutual cooperation framework agreement between agreement between the signatory parties for the development and spread of the capital market in the Province of Salta.